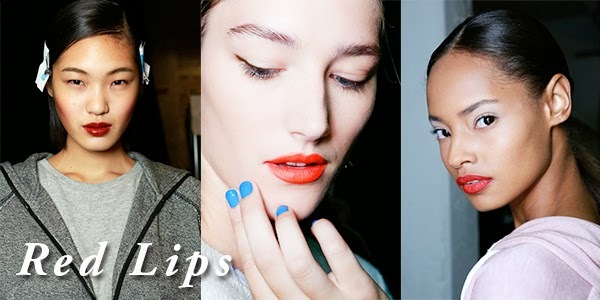 The Spring 2014 runways were ripe with fresh hair and makeup looks to try. The Fashion Barbie is sifting through all the best beauty looks and teaching you how to adapt these runway styles to your everyday beauty look! 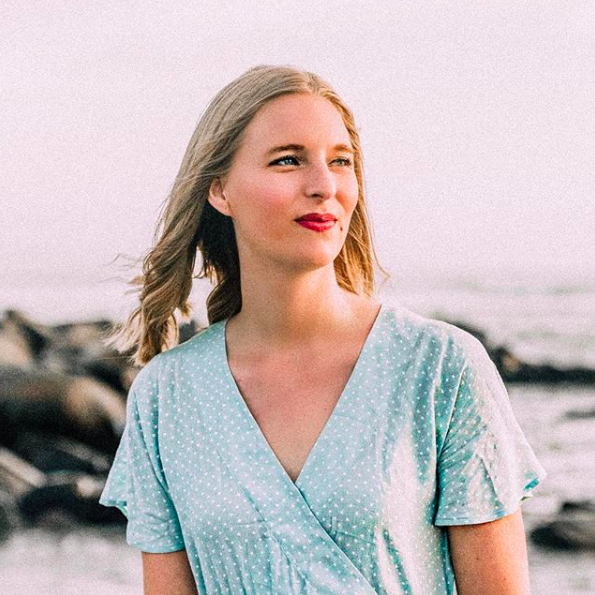 Red lips are as classic as the Little Black Dress, but there's no better time to try out the bold lipstick if you've been nervous to before! 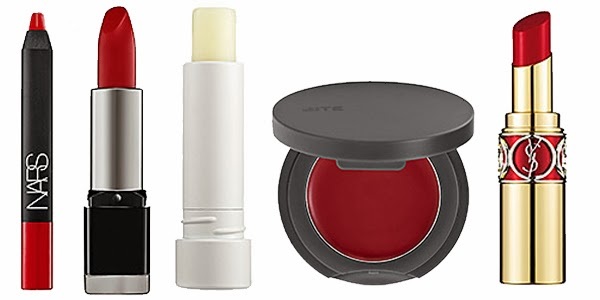 Make sure your lips are smooth and silky before applying any color; reds tend to saturate the lips extremely well and can dry them out, so use a balm (like the Sugar Advanced Therapy Lip Treatment) before adding the color. Next, pick if you want a matte or glossy color. Mattes are bold and make a huge statement, whereas glossier colors work as a more subdued, vampy look. Personally, I feel that orange-red hues look better as mattes, while darker reds with blue tints look great with a bit of iridescence to them. With such a bright color, precision application is key. Apply with a lip brush (like this one) for liner-like precision. Makeup artists at the Spring runway shows were thinking way outside the box with eyeliner. 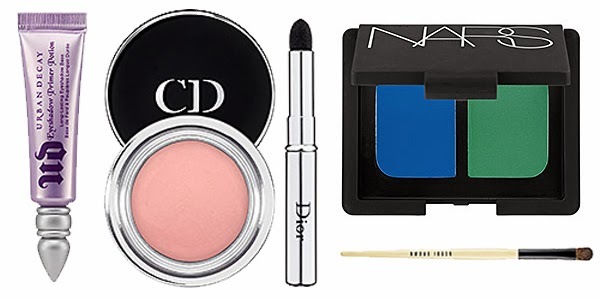 No longer just in the usual black or brown, eyeliners have gotten as colorful as a spring bouquet. 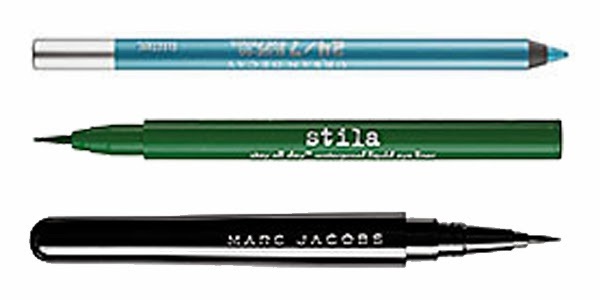 Brands like Urban Decay and Stila have great colorful options, and Marc Jacob's Marc'er eyeliner pen is the graphic jet black liquid liner we have been waiting for. Don't feel like spending thirty dollars on an electric blue eyeliner that you'll only use once or twice? Transform a colorful eyeshadow into a liner by wetting an eyeliner brush and dabbing some powered shadow on it. A quick, DIY version to the colored liner trend! In addition to playing with the color of eyeliners, makeup artists mixed up the usual shapes. At Marc Jacobs, models rocked extended corners (both inner and outer) for an eye-widening, anime-inspired style. At Missoni, thick black lined the entire upper lash line but only the inner corners, creating a unique graphic look. 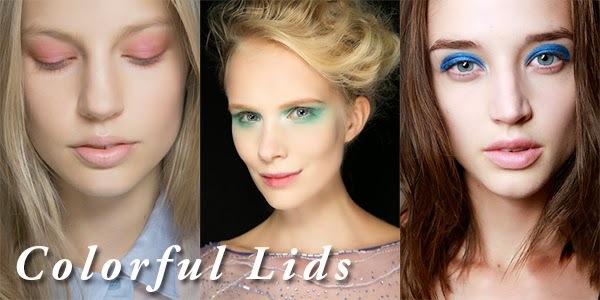 I will totally play with liner shape and color the next time I go out, and so should you! 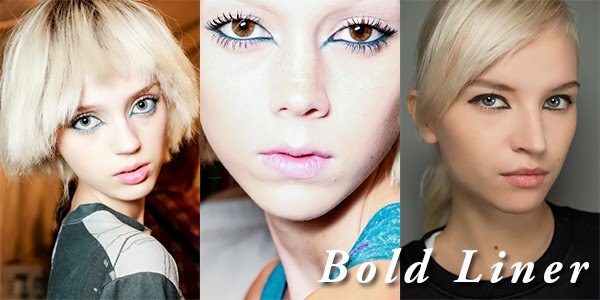 Colorful eyelids were all the rage this season, with every color of the rainbow making an appearance on the runways. A dusty pink is a perfect daytime punch of color, while a vibrant blue or green make for perfect going-out looks.steither make your bright shadow totally graphic, or tone it down a bit by blending the color with a flesh tone shadow.